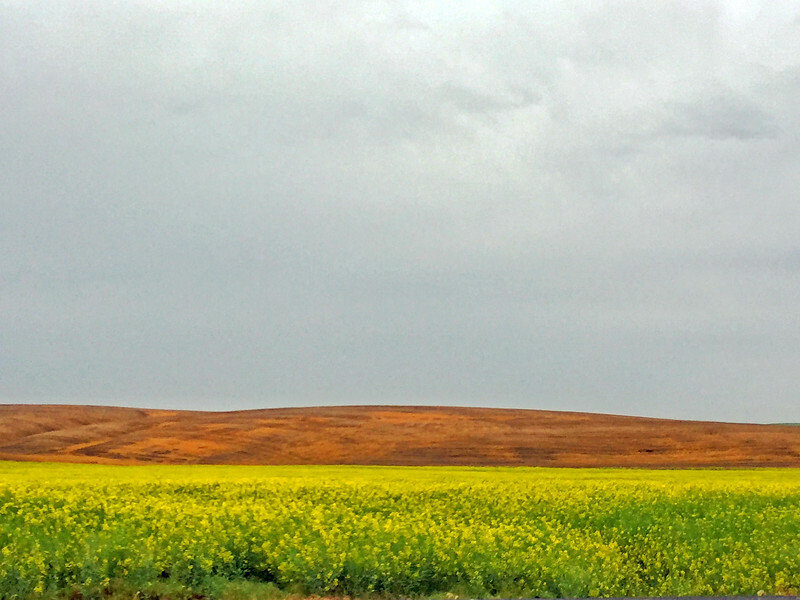 As the sun was starting to break through the clouds, the canola field took on a vibrant color. This looks like a painting to me. I love the layers of color.